Editor/Author Lockyer, Lori, Bennett, Sue, Agostinho and Shirley, et. al. 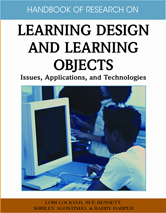 Provides an overview of current research and development activity in the area of learning designs in terms of teaching perspective and technological advances.